The loan-waiver could cost a whopping Rs 4 lakh crore, or 4% of India’s GDP, and the fiscal deficit target has already been breached. New Delhi: Rural distress is being seen as a significant factor in the BJP’s defeat in the assembly elections in Madhya Pradesh, Rajasthan and Chhattisgarh. More than 70% of the population of these states live in rural areas and acute farm distress has been a cause for anger against the ruling BJP in all these states, like in most parts of the country. 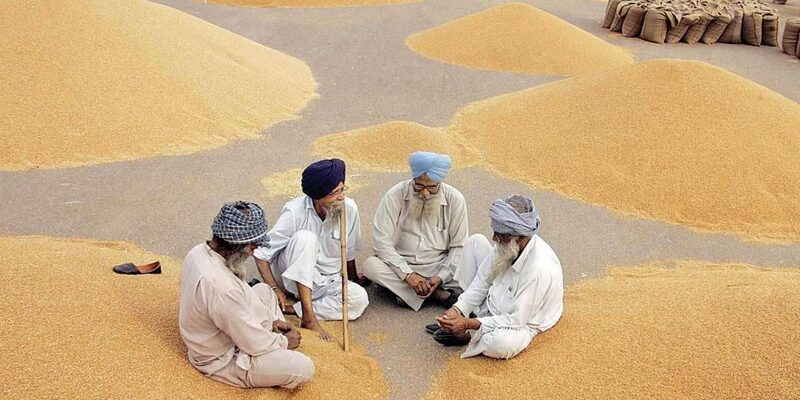 Now, according to a Reuters report, the BJP at the Centre is considering waiving farm loans worth Rs 4 lakh crore to address the agrarian distress. “To claw back support among India’s 263 million farmers and their many millions of dependents, Modi’s administration would soon start working out the details of a plan allocating money to write off farm loans,” government sources told Reuters. To put it in perspective, this loan waiver could cost the Centre more than 5 times the Rs 72,000 crore loan waiver announced by the Congress in 2008. At Rs 4 lakh crore, the loan waiver, if it happens, would further stress India’s already widening fiscal deficit. The government had set itself a target to keep fiscal deficit at 3.3% of the GDP, or Rs 6.24 lakh crore, for the 2018-19 financial year. The target was breached seven months into the fiscal in October. So, questions remain over how the government will secure the money for the loan waiver. The Centre could possibly turn to the RBI. At the heart of the ongoing tussle between the Centre and the RBI has been the issue of sharing the surplus reserves that the central bank holds for contingency situations. The government has argued that the RBI is holding too much as reserves and wants it to release Rs 3.6 lakh crore to the government. The RBI’s leadership was against this surplus transfer. “A government’s horizon of decision-making is rendered short, like the duration of a T20 match (to use a cricketing analogy), by several considerations. There are always upcoming elections of some sort – national, state, mid-term, etc. As elections approach, delivering on proclaimed manifestos of the past acquires urgency; where manifestos cannot be delivered upon, populist alternatives need to be arranged with immediacy,” Viral Acharya, deputy governor of the RBI, had said in a speech in October. After the stand-off with the government played out over marathon meetings and discussions, Urjit Patel resigned on Monday as the RBI governor, citing ‘personal reasons’. The government has now appointed a senior bureaucrat, Shaktikanta Das, who was fielded to defend demonetisation, as the governor.